Scientists using data from NASA's Wide-field Infrared Survey Explorer (WISE) have discovered the coldest class of star-like bodies, with temperatures as cool as the human body. Mass, if over 10 Jupiter masses. it is unlikely to be a planet. Currently, anything over 13 Jupiter masses is considered a star. 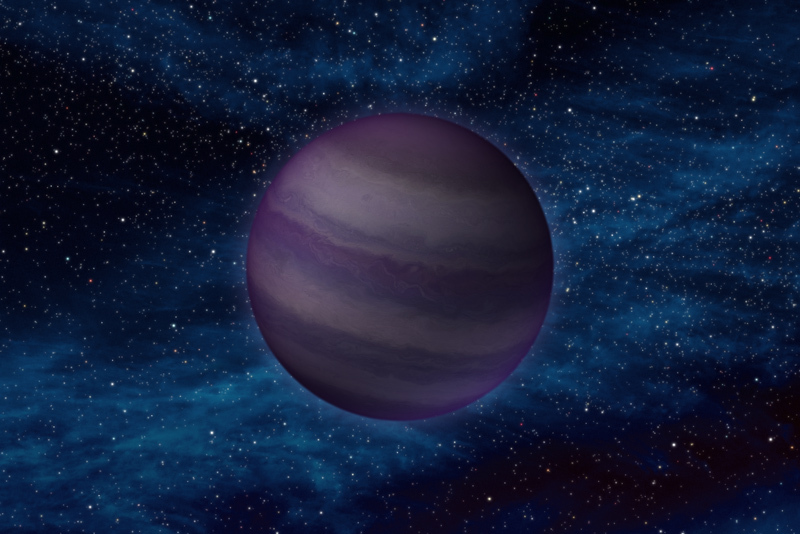 What exactly distinguishes a small brown dwarf like this from a planet like Jupiter? 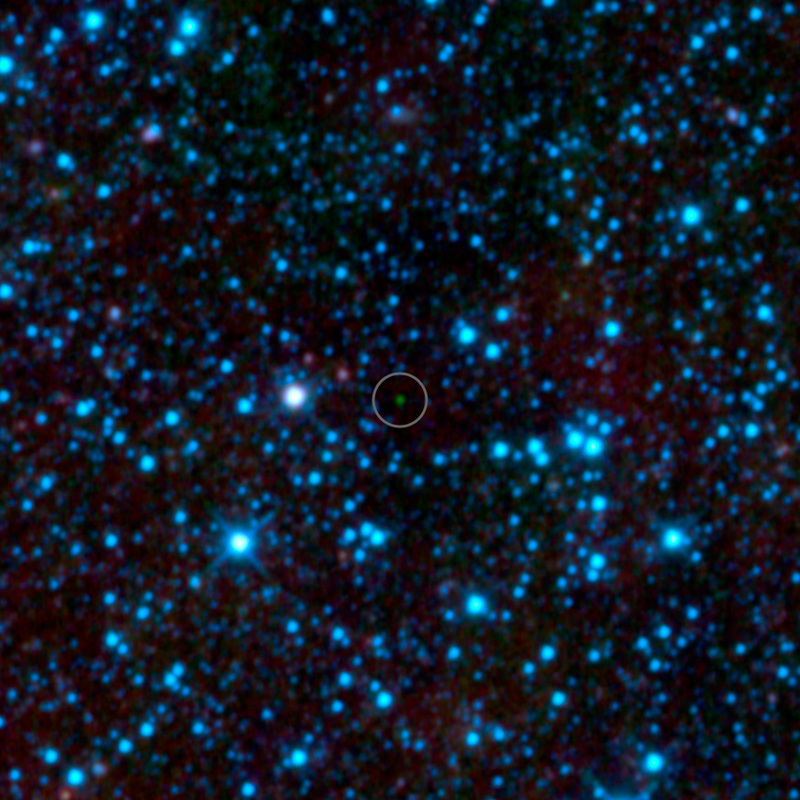 A lone object in space that is at room temperature (~ 300K) or more is assumed to be a star heated by internal fusion. 1) Mass, if over 10 Jupiter masses, means a body is unlikely to be a planet. 2) X-ray and infrared spectra are telltale signs. 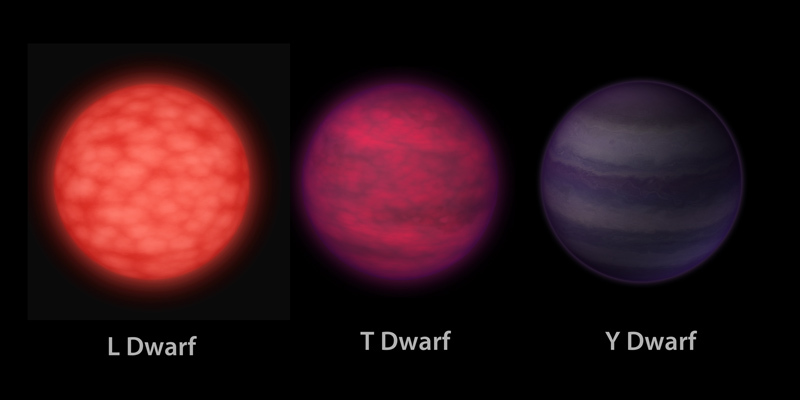 Some brown dwarfs emit X-rays; and all "warm" dwarfs continue to glow tellingly in the red and infrared spectra until they cool to planetlike temperatures. There would have to be many thousands of these observed within 40 light years of the earth if they are going to play an important role in the dark matter problem. "Today astronomers have found an object which is believed to contain only 13.5 Jupiter masses. Today astronomers have found an object believed to contain only 13.4 Jupiter masses. Today astronomers have found an object containing only 13.3 Jupiter masses. Today astronomers have found an object containing only 13.2 Jupiter masses. I was looking for an image of a really bored yawn, but this kitty was prettier. Thanks!! Glad you like it! But Art, what do you mean that my cat (which isn't my cat) is a cat-astrophe? (Although it would be tempting to tickle it a little. Art, what do you mean that my cat (which isn't my cat) is a cat-astrophe?